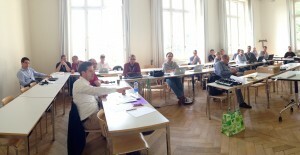 A report on the 8th Swiss SDN workshop at last! Following the rhythm, we held the 8th Swiss SDN workshop/meetup in mid-June this year. It was a great a pleasure and experience to get the networkers together for a full-day event hosted at ETH Zurich. We learnt about new solutions and implementations from the talks/demos given by our colleagues from the academia and the private sector. After the latest work on Heat support for Netfloc service chaining, the SDN team used the summer’s quiet month of August to update some of the features in Netfloc and Netflogi. A new extension to the API set is the functionality to retrieve the current service chains created in Netfloc. This has been made possible with the improvement of the Netfloc service yang definition and the persistent data record from Netfloc into the MD-SAL repository. Using this APIs the providers of a Netfloc service can now issue RPC requests to the datastore inventory and retrieve the current data and state of the service. This improves the resilience by keeping the network state and the chain aligned and consistent in case of Netfloc restart. 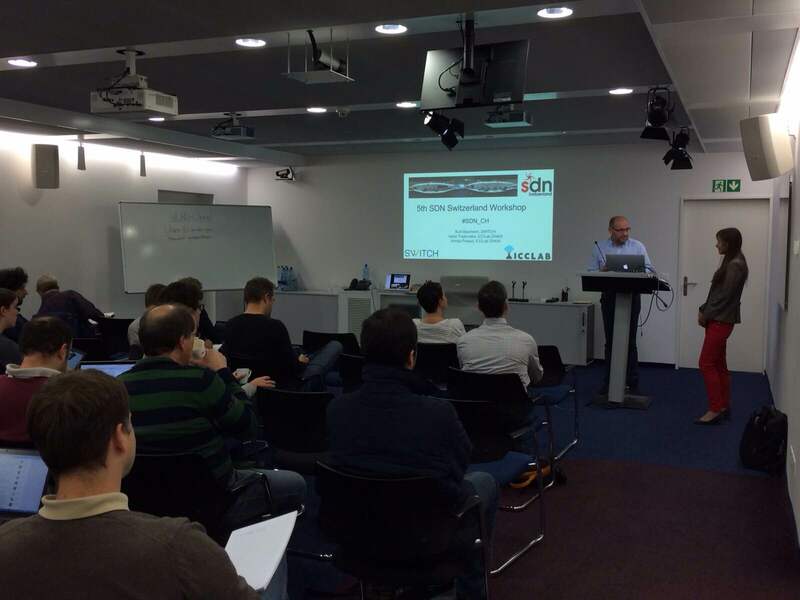 Last Friday, 13th November the 5th SDN workshop took place at the SWITCH premises in Zurich. With 9 presentations covering different aspects of Software Defined Networking and around 40 attendees, we are happy to bring together the academia and industry partners on the same table in order to provide to the community a complete overview of the most recent results, products and open source SDN solutions. Compared with the previous workshops, talks from the industry were prevalent this time, which brought variety but most importantly an intent to close the gap between SDN research projects and grand-scale solutions based on customer use cases. 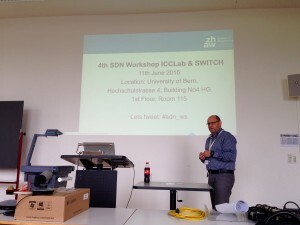 Yesterday for the 4th time the ICCLab organized the SDN workshop at the University of Bern in cooperation with SWITCH. We had around 25 participants and 7 talks that tackled SDN in the world of cloud computing, NFV, IXP, video content delivery, high performance cloud, authentication request routing and access control etc. All these solutions coming from different projects from the academia and the industry.